If you want to know what the best M4A splitter software on the internet is, then you have come to the right place. There is a lot of M4A software out there that claims to split your files with ease, but a lot of them are only trial versions and so you can only get a set portion of your song or audio converted before you need to pay. If you're a professional, you may also find that some software just isn't up to standard, and even after you pay for it, you're still somewhat disappointed. If you want to know how to split M4A audio files, then take a look below to find out more. You'll find everything you need to know about the conversion and what programs are best for getting it done. This is one of the best M4A splitter software programs on the market. It supports MP3, WMA, WAV and AAC as well. You will also find that it supports M4A, so it is great if you want an all-round solution that you know you can count on. This software is completely free to download and you don't need any special settings in order for it to work either. If you are a professional and you want something that you can customise to meet your exact requirements then this is ideal as well, so there are endless options available. If you did want to perform a quick and easy conversion then all you need to do is specify the cut and the conversion and the program will do the rest. It supports the most formats when compared to other cutters and it is ideal for the home user as well. 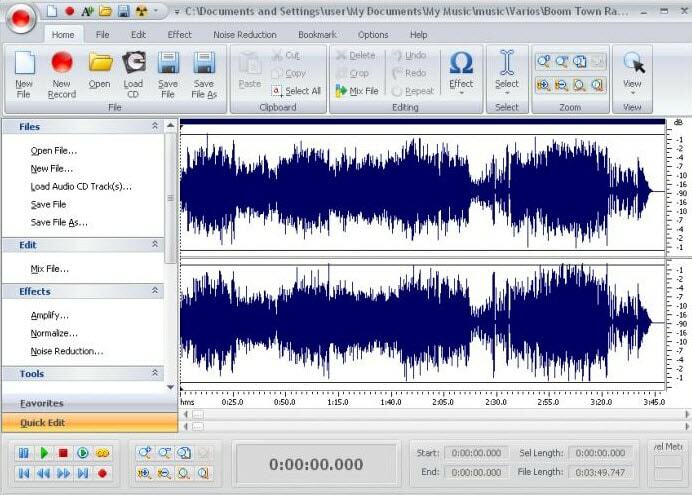 This simple program lets you cut out pieces of your audio and it converts them for you as well. It supports OGG, MP2, WAV, MP4 and M4A as well. It has been tested by Softonic and it has some outstanding reviews as well, so if you want something that is quick and easy without any fuss then this is certainly the right choice for you. The Elaker MP3 Cutter/Joiner allows you to cut and edit M4A, WAV, AAC and OGG files. It comes with a batch mode and you can convert your audio as well. You will also find that you get the option to fade in and fade out your tracks and this is a great addition which a lot of audio converters don't have. It comes with VBR and this adds to the convenience that this program has to offer. The MP3 cutter is very powerful but very easy to use. It is a converter and joiner in one and it can handle WAV, MP3, AAC, OGG and so much more. The great thing about this software is that it is very high speed and it can do all of this and more without losing quality. This is ideal if you are a working professional and the program also allows you to edit your audio formats at the same time as performing other tasks. Not only does this save time, but it also helps you to make the most out of your program as well. The My MP3 Splitter supports everything from WMA and M4A to OGG and WAV. You will also find that it can convert files as well, not to mention that it is great for creating ringtones for the iPhone or the Android firmware. In this software, you can join audio into a single file and it supports batch mode as well. This allows you to do everything that you want and in one convenient program, not to mention that the pre-sets are well configured so you can always adjust the quality output of your piece. It supports a drag and drop player and this makes the whole process very simple when compared. The Amediasoft converter supports AVI, MP3, MPEG and MOV. It also supports formats such as M4A. The great thing about this converter is that it has a super fast conversion speed and you crop the frame of your video as well and if you are using this for commercial purposes, you can add a company watermark and video effects. You will also find that this is great for YouTube videos and it has a unique interface which makes it very easy to learn if you are a beginner. This program is also ideal if you want to do separate things without the hassle or fuss as well, for example, if you wanted to convert without splitting, that is entirely possible and the video editing feature is great as well. With so many great software releases coming up on the internet, it isn't hard to see why more and more people are using combination alternatives to get the job done. After all, if a splitter has conversion, editing, watermark and quality features available, you would be better off going for this option when compared to standard editing software. They give you so many options to choose from and a lot of them can be purchased as well so if you want some extra features or if you want to see how you can boost your professional career then you should certainly take a look at the ones above to see if they suit your needs.